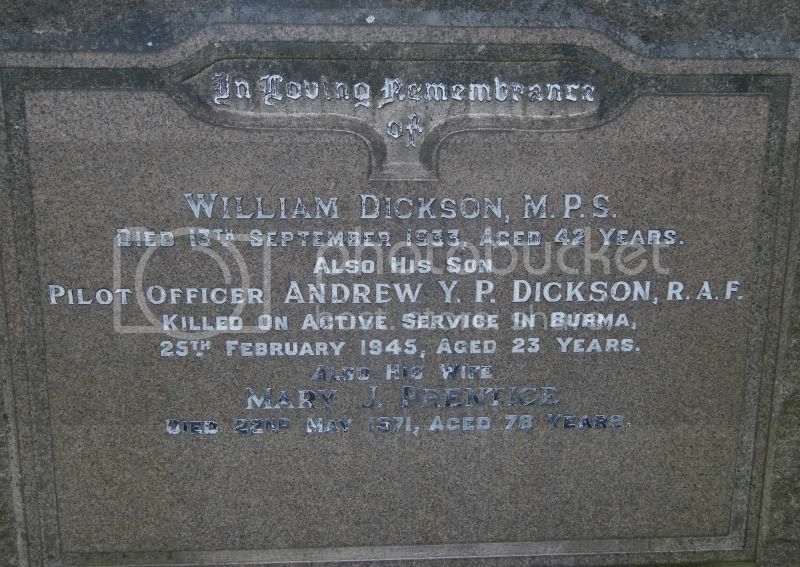 Additional information:	Son of William and Mary Jessie Dickson, of Hamilton, Lanarkshire. Grave/Memorial Reference:	25. D. 19. 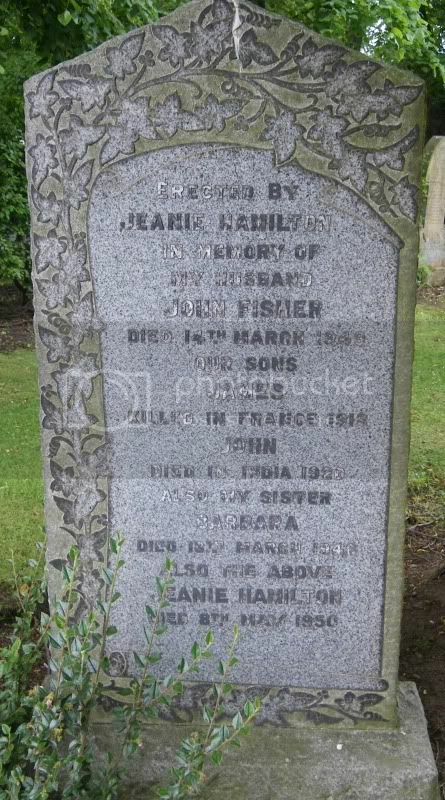 Additional information:	Son of John and Jeanie Fisher, of "Glaudsburn," Dalmeny Rd., Hamilton. Grave/Memorial Reference:	VII. D. I. Other	formerly 5439 9th H.L.I. 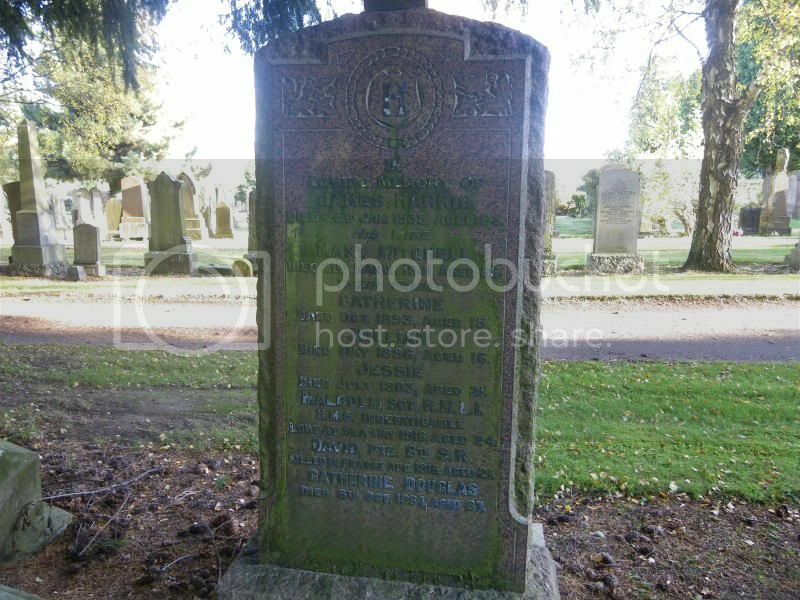 Other	14th (County of London) Bn. (London Scottish), formerly 5439 9th H.L.I. 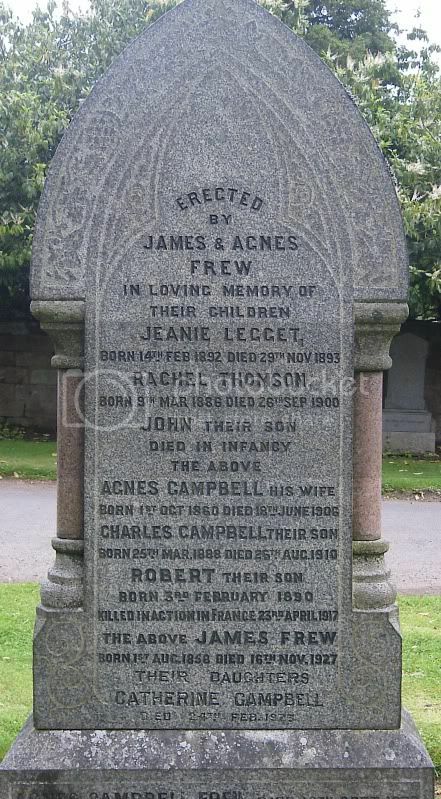 Additional information:	(Buried Kohat Cem. 195.). Unit Text:	326th Siege Bty. 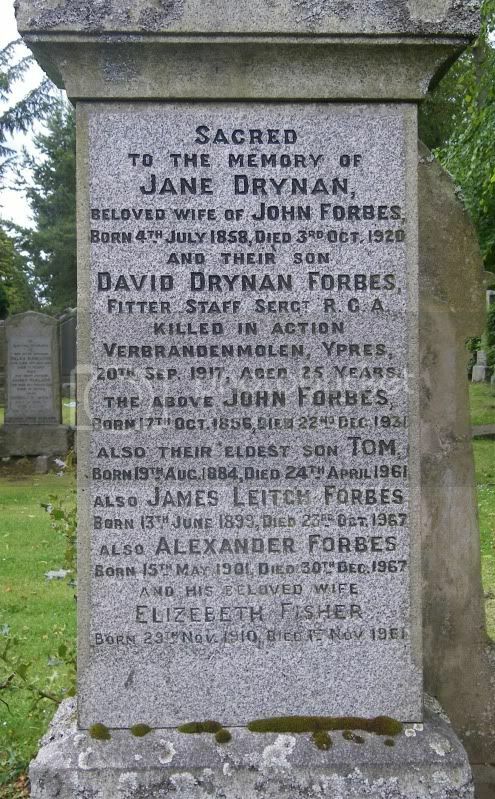 Grave/Memorial Reference:	Panel 6 to 7 and 162. 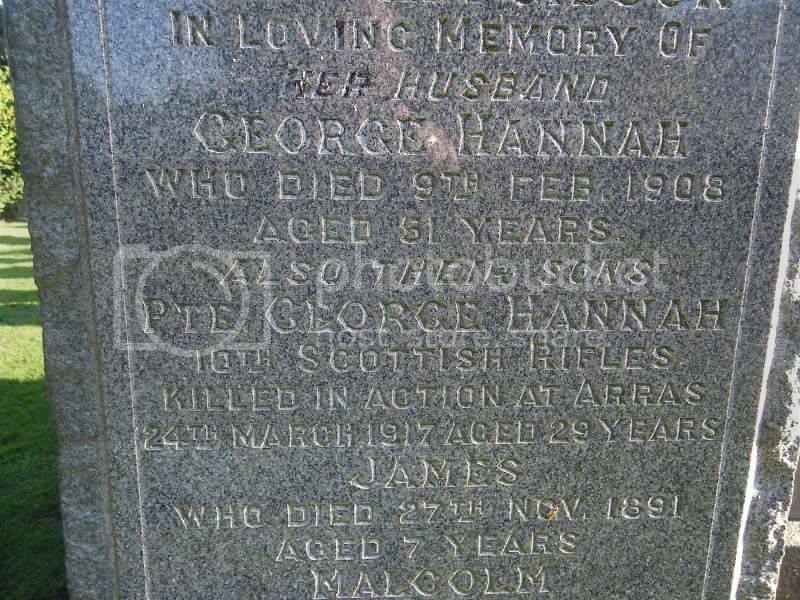 Other	formerly 5576 Seaforth Highlanders. 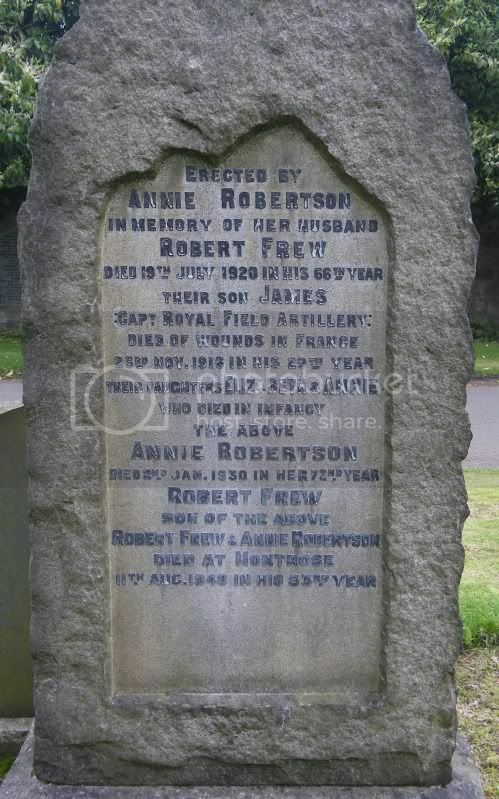 Additional information:	Son of Robert and Annie Robertson Frew, of Hamilton, Lanarkshire; husband of Margaret Kay McNeilage Frew, of 35, Finlay Drive, Dennistoun, Glasgow. Grave/Memorial Reference:	IV. C. 7. 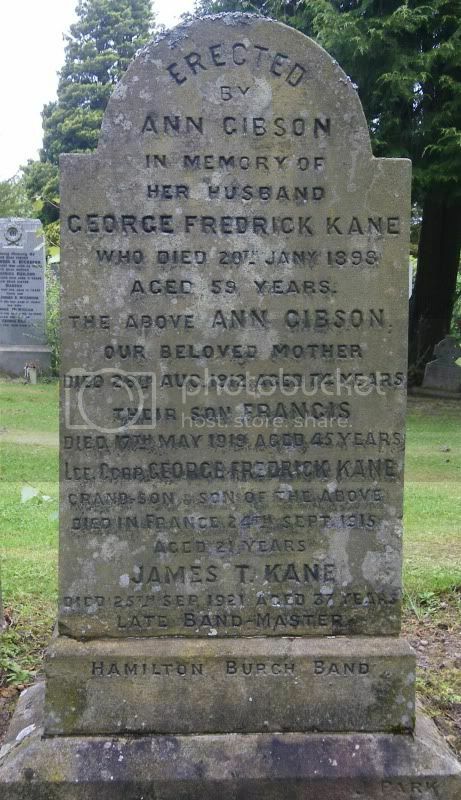 Additional information:	Son of James Frew, of "Craigview", Burnbank Rd., Hamilton. Grave/Memorial Reference:	Bay 8 and 9. Additional information:	Son of Mrs. J. Gourley, 10, Brown St., Hamilton. Grave/Memorial Reference:	I. B. 15. 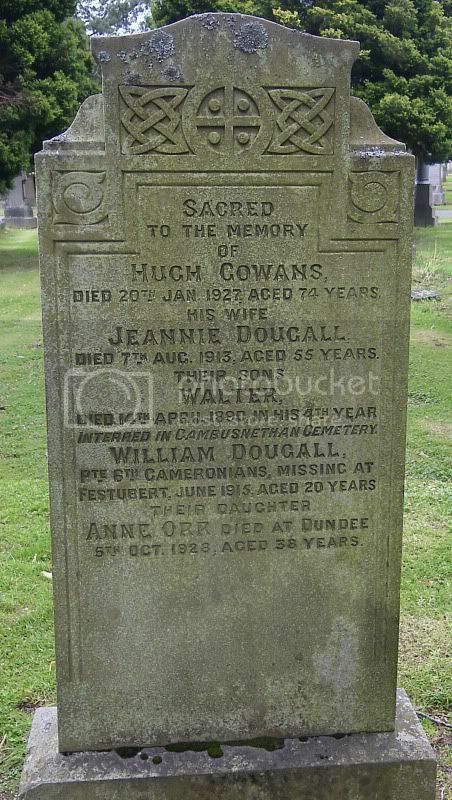 Additional information:	Son of Hugh Gowans, of 4, Portland Park, Hamilton, Lanarkshire, and the: late Jeannie Kirkland Dougall Gowans. Grave/Memorial Reference:	Panel 15 and 16. 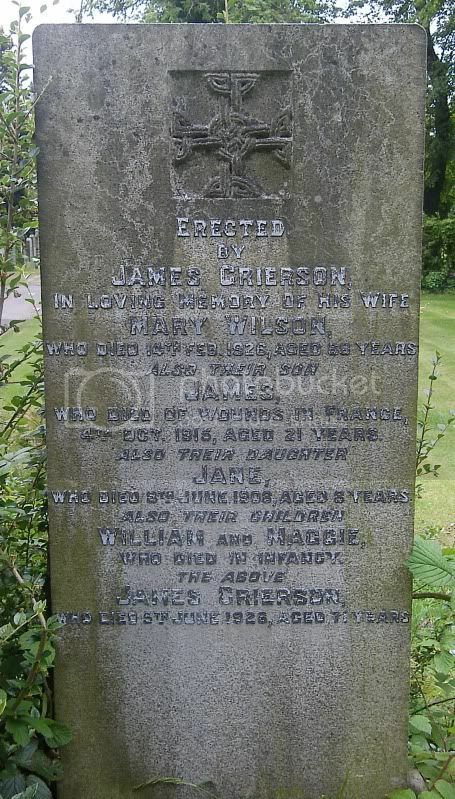 Additional information:	Son of James and Mary Grierson, of 21, James St., Hamilton. 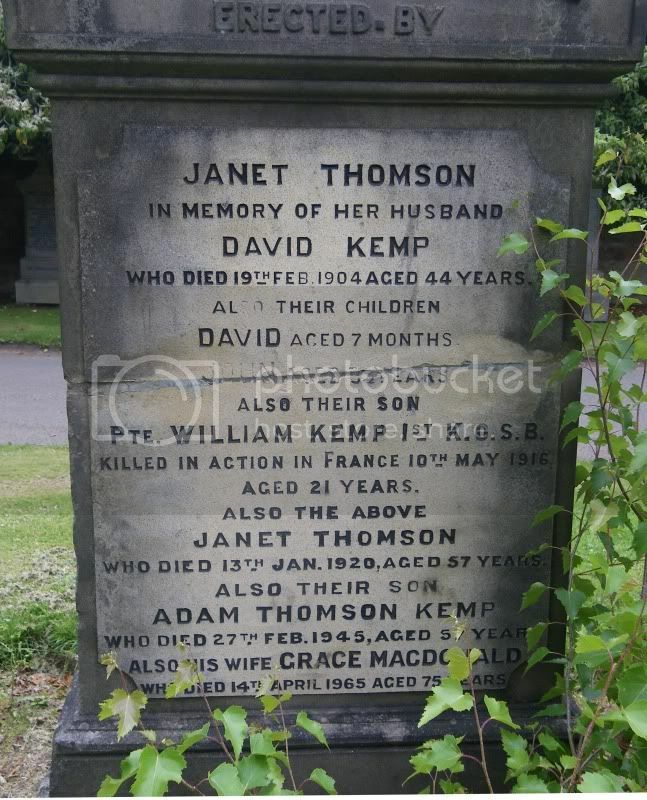 Grave/Memorial Reference:	I. E. 3. 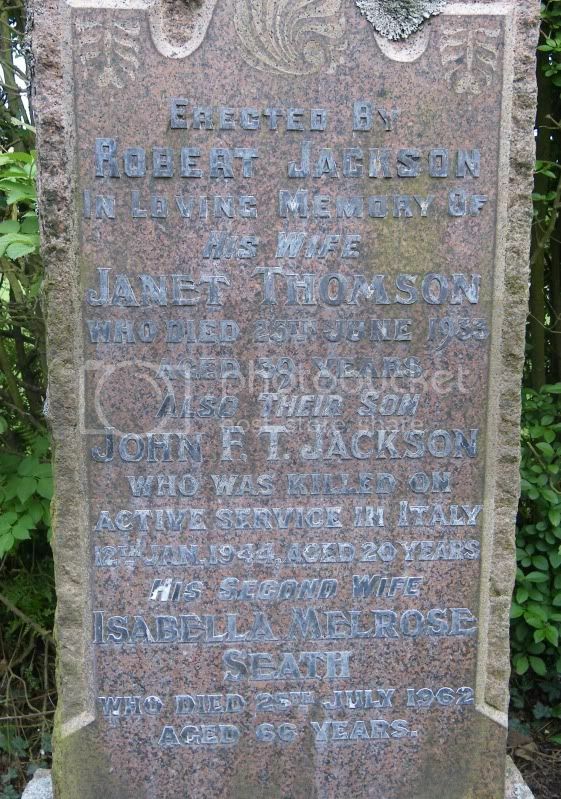 Grave/Memorial Reference:	Panel 84 to 92 or 220 to 222. Grave/Memorial Reference:	Enclosure No.2 I. A. 24. 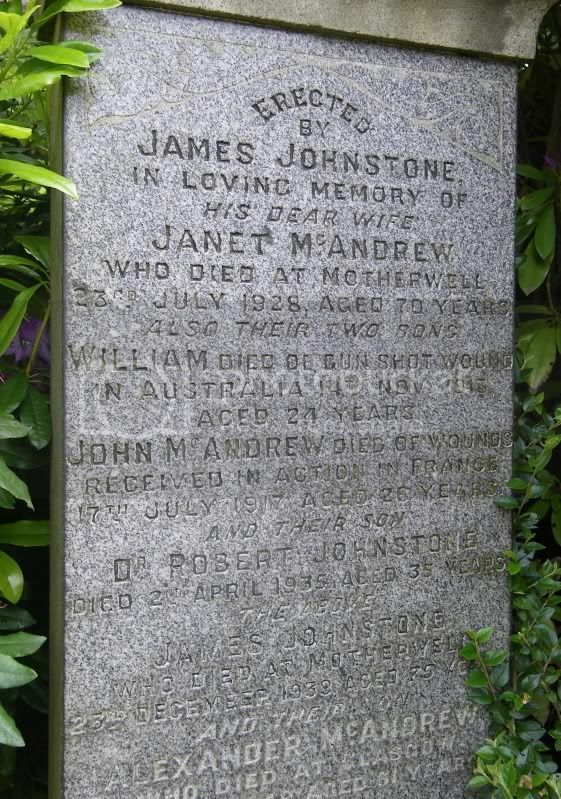 Additional information:	Son of James and Mary Harris, of 10, St., John's Lane, Hamilton, Lanarkshire. 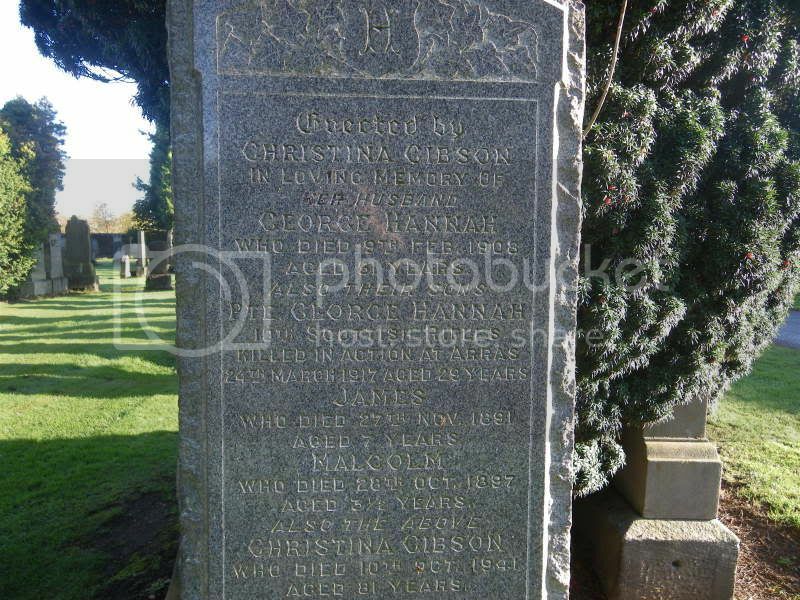 Additional information:	Son of James and Mary Harris, of 10, St. John's Lane, Hamilton, Lanarkshire. Grave/Memorial Reference:	VII, C, 7. 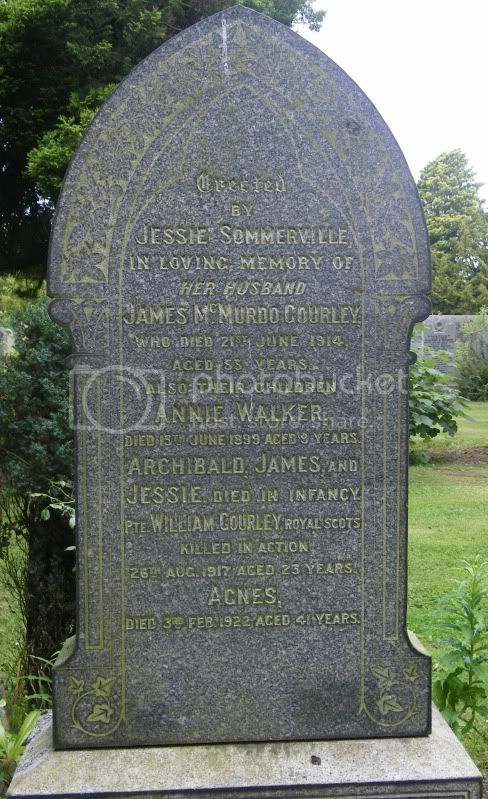 Additional information:	Son of James and Janet Johnstone, of Gas Works Cottage, Motherwell. Native of Hamilton. 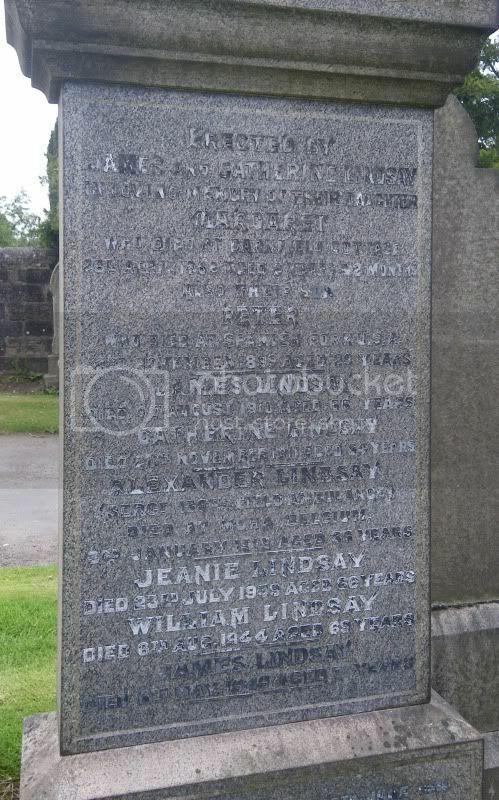 Grave/Memorial Reference:	I. G. 8. Other	6th Bn. formerly 3767 Lovat Scouts. Other	latterly S/40617 6th Bn. 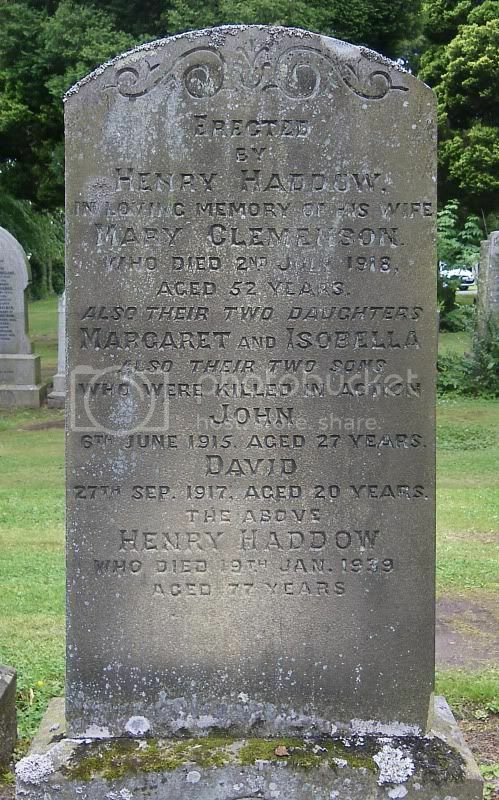 Queen's Own Cameron Highlanders. Grave/Memorial Reference:	Panel 112 to 115. Grave/Memorial Reference:	II. D. 16. Other	latterly 21322 Machine Gun Corps (Infantry). 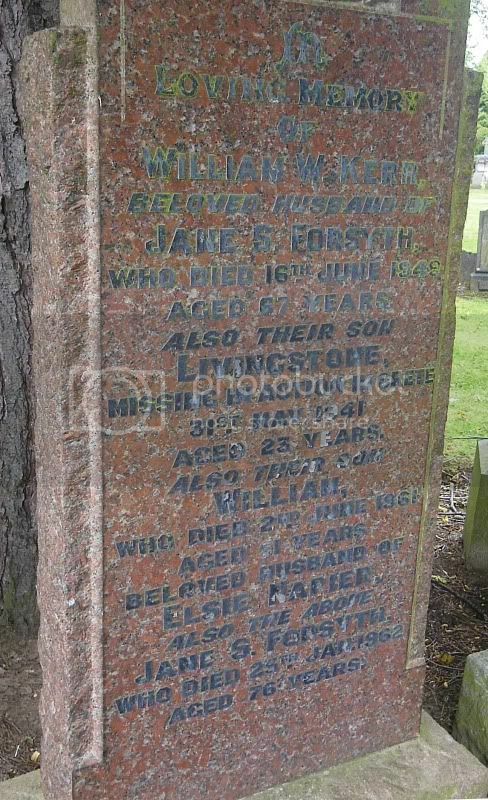 Additional information:	Son of William Walker Kerr and Jean S. F. Kerr. Unit Text:	138th Field Amb. 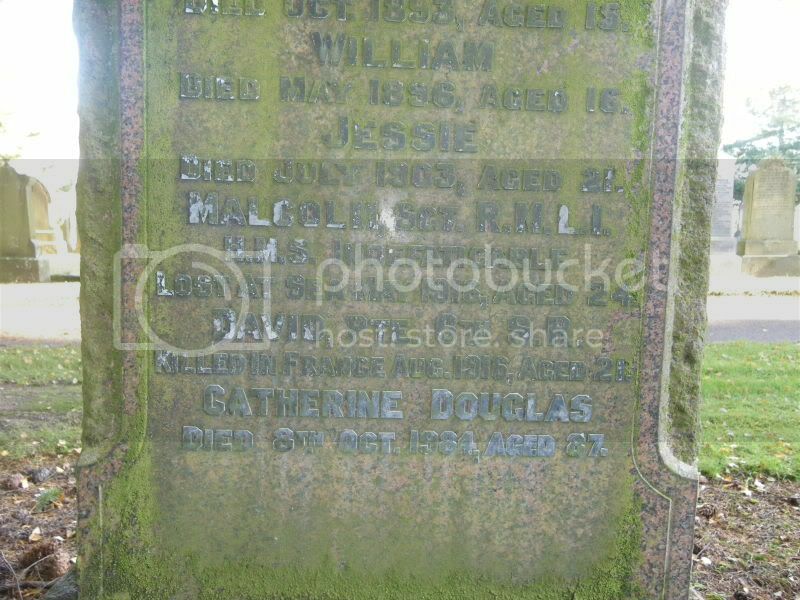 Additional information:	Son of James Cochrane Lindsay and Catherine Lindsay, of Barnfield Cottage, Low Waters, Hamilton, Lanarkshire. Grave/Memorial Reference:	Against South-West wall.